Samuel L. Jackson is returning to host the tenth anniversary of the Spike VGAs. It's easy to make fun of the sound and fury of the Spike Video Game Awards, packed as they are with product placements, "exclusive world premieres of highly anticipated titles" and Linkin Park. At the same time, it's the only show in town, as they say, and even this sort of tawdry mainstream attention is better than no attention at all. Right? Leaving aside discussions about the relative merits of the VGAs, I present you with a list of some of the more prominent nominees. Most of them will be familiar and unsurprising, but there are a few unexpected twists here and there, such as the inclusion of Journey and The Walking Dead alongside Assassin's Creed 3, Dishonored and Mass Effect 3 for Game of the Year. On the other side of the coin, there's plenty of the usual silliness to be found too, like the separate categories for Best Xbox 360 and PlayStation 3 Game that include three of the same games plus one platform-specific title for each. 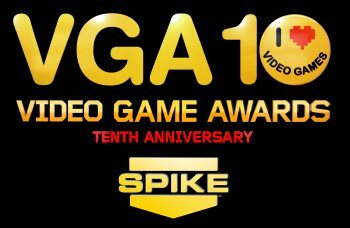 The 2012 Spike VGAs will be hosted by Samuel L. Jackson, who previously held the reins from 2005 through 2007, and will feature performances by Tenacious D and Medal of Honor house band Linkin Park. The whole thing goes down at 9 pm EST on December 7, on Spike, MTV 2 and MTV Tr3s, and will also stream live on Xbox Live, Spike.com and GameTrailers.com. A full list of categories and other relevant information can be found at Spike.com.